Which comes first? The science or the poem? 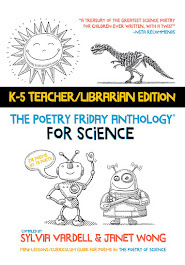 So many science-related picture books are told in poetic language and so many poetry books are science-focused that it can be hard to say. 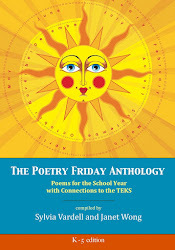 Poets are typically very observant, careful word-choosers, much like their scientist counterparts and the marvels of the natural world have intrigued many poets—and children—for generations and continues to be one of the most popular topics for compiling and creating poetry collections for young people. Children’s Poet Laureate Mary Ann Hoberman and her collaborator Linda Winston gave us a new twist on the science poem anthology with the aforementioned The Tree That Time Built; A Celebration of Nature, Science, and Imagination and I recommend the work of Douglas Florian, Jane Yolen, and Joyce Sidman, in particular, for their many science-themed poetry collections. 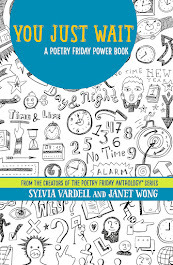 Many other poets regularly feature science-related topics in their work, including Betsy Franco (Birdsongs), Joan Bransfield Graham (Flicker Flash) Lee Bennett Hopkins (Sharing the Seasons), J. Patrick Lewis (Galileo’s Universe), Laura Purdie Salas (Chatter, Sing, Roar, Buzz), Lisa Westberg Peters (Volcano Wakes Up! ), and Marilyn Singer (Fireflies at Midnight), the featured poet who provided an original unpublished poem, “Spouts” which accompanies the article. 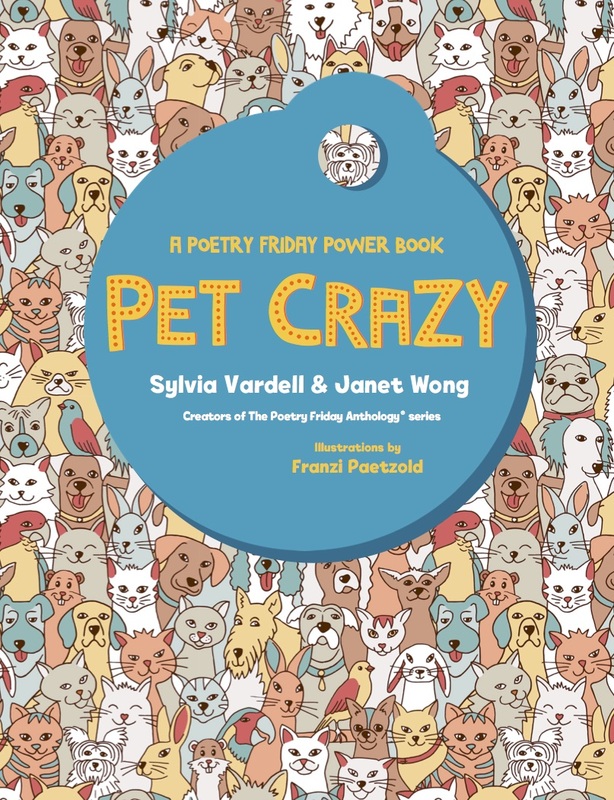 Reading many works by a single poet can help children see how science can capture a poet’s imagination and then be expressed in a distinctive voice. 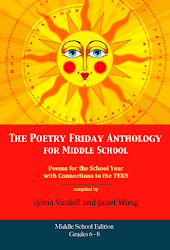 You’ll notice that often these poets don’t just feature poetry, but they also include the “sidebars” and backmatter one usually associates with factual nonfiction or informational books. That’s something kids might try themselves by working in pairs (one as poet, one as scientist) researching a favorite topic and then creating a poem and a prose paragraph (or reference aid) on their topic. For more blurring of poetry and nonfiction, see how Sallie Wolf blends an observation journal complete with “handwritten notes” and “paper scraps” with poems about birds in The Robin Makes a Laughing Sound; A Birder’s Journal. Susan Blackaby’s new “habitat” poems describe animals in their native places in Nest, Nook & Cranny, accompanied by black and white drawings by Jamie Hogan that look like images from an artist’s sketchbook. 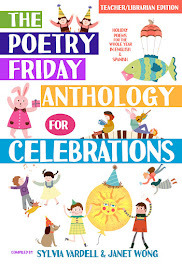 Combine these with Michael Rosen’s distinctive The Cuckoo’s Haiku, or Kristine O’Connell George’s Hummingbird’s Nest for more journal-like poetry collections. Some authors of science-focused picture books create rhyming text for sharing information. 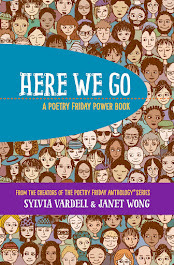 These aren’t poetry, per se, but provide an interesting entry point for young readers and listeners who will enjoy the music of the language while taking in new information. Faces of the Moon by Bob Crelin, for example, incorporates rhyming quatrains in describing lunar cycles complete with divider tabs and die cutouts of moon shapes. 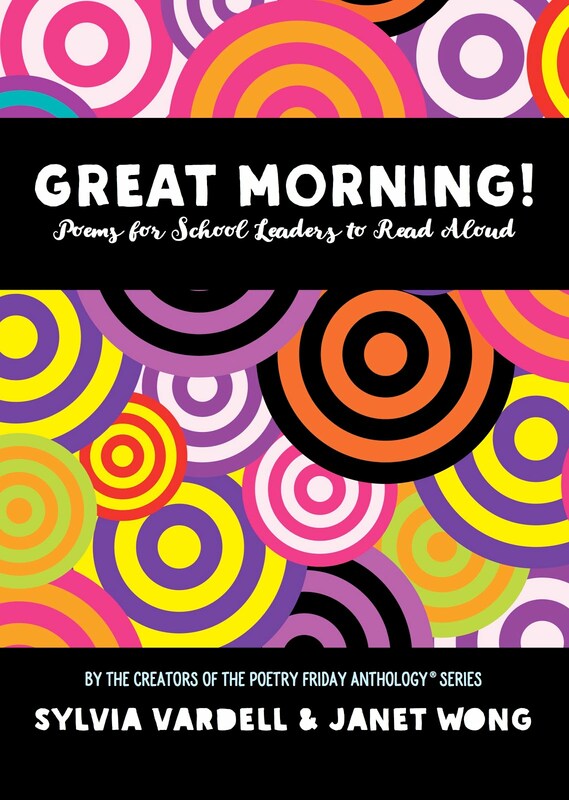 Other writers who frequently present factual material through rhyming text include Joanne Ryder (Toad by the Road), JoAnn Early Macken (Waiting Out the Storm), Lola Schaefer (An Island Grows), Lois Ehlert (Lots of Spots) and April Pulley Sayre (Meet the Howlers), among others. 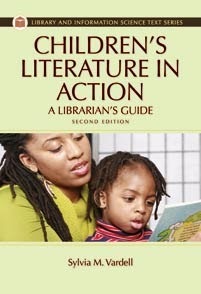 Other authors use language poetically (but without rhyming) in their writing of informational science books. 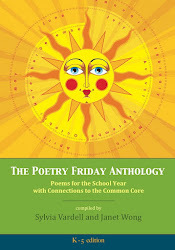 They present facts, but choose and arrange words musically or artistically as in Marion Dane Bauer’s lyrical introduction to the winter solstice in The Longest Night or Brenda Z. Guiberson’s Moon Bear with its question/answer format or Dianna Hutts Aston’s metaphorical picture book, A Seed is Sleepy. Here are examples for children to consider when they think about how they can arrange the words on the page of their carefully researched science report. Not bad for 350 years ago, right? 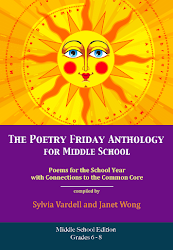 When we invite children to try writing poetry in language arts class or report writing in science, does it really have to be an either/or proposition? Can we challenge them to think about what they’re learning, gathering key vocabulary and new concepts, and then arranging their newfound knowledge (alongside visuals) in ways that are meaningful to them? Perhaps it will be a poem, perhaps not, but with models of the many ways we can describe our science inquiries, they may be more motivated to consider both—science and language. Image credit: maryannhoberman.com; motherreader.com ;us. I love these ideas so much! I'm happy with my life, but if I'd grown up with more of this science and poetry blending, I expect things might have turned out differently for me. Thank you for the wonderful pairings and suggestions. Baby Lily and I have a bunch of books to add to our summer reading list now--thanks! Thank you for all of these wonderful ideas. I married a scientist, and learning to see the world through his eyes has given me and our children a whole new world to explore. Tomorrow I will link to your post along with a nature poem. Much gratitude! Some of my favorite poetry is science-related--thanks for highlighting this combo! I've got some new books to look for. An Island Grows, by the way, is one of my favorite examples of rhyming nonfiction! The Tree That Time Built does such a good job of combining poetry and science to express wonder at the way our world works. I recommend it all the time! I also caught the tail end of your "Celebrating the Spoken Word with Poetry for Young People." Amber Rose Johnson was wonderful. What a talented young lady.